Older cats are often overlooked by people looking for a new pet. What these people don't realise is that a more mature cat can make a perfect companion. They also deserve a chance to live out their days in a loving caring home. 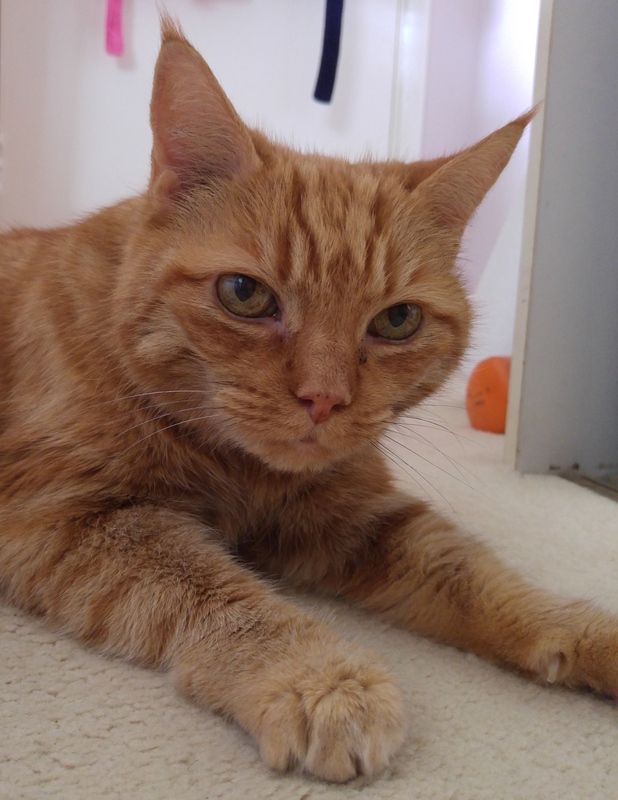 So, when 18-year-old Chester came into care at the National Cat Adoption Centre after his owner was taken ill we were not hopeful about his chances of being rehomed any time soon. Despite his affectionate personality and charming looks, this ginger gent was going to have to work hard to attract the right new owner for him. Thankfully, that is where NCAC receptionist Emily and her mum came in to the story and changed Chester's life for good. "We heard Chester's story and decided to visit him at the Centre,' Emily's mum said. "As soon as we met Chester we decided to adopt him. "We loved how he was such a gentle boy who we could see was just wanting affection and love. We felt that, at his age, it wasn’t fair to leave him in care when we could offer him a warm and loving home. "Our daughter told us that because of his age he would get overlooked as people would prefer to home the younger cats. We couldn’t bear to think of him sitting in a pen for months on end, so we decided to offer him his forever home." The family discussed Chester's age and health with staff at the NCAC and they were realistic about the life they were taking on. "We know that we might not have Chester for long but we certainly hope we will,' they said. "Whatever happens, we will give him the best we can whilst he’s with us. "We feel that we’ve done the best thing for Chester and he certainly seems happy! He settled in very quickly, coming out for a fuss whenever anyone is around. He loves to be groomed and purrs so loudly, so we know we’ve done the right thing for him and us. He offers us love and affection in abundance as we do to him. "We feel very lucky to have taken on such a lovely chap and are so pleased we did. He may be an old boy but he’s the perfect cat for us. 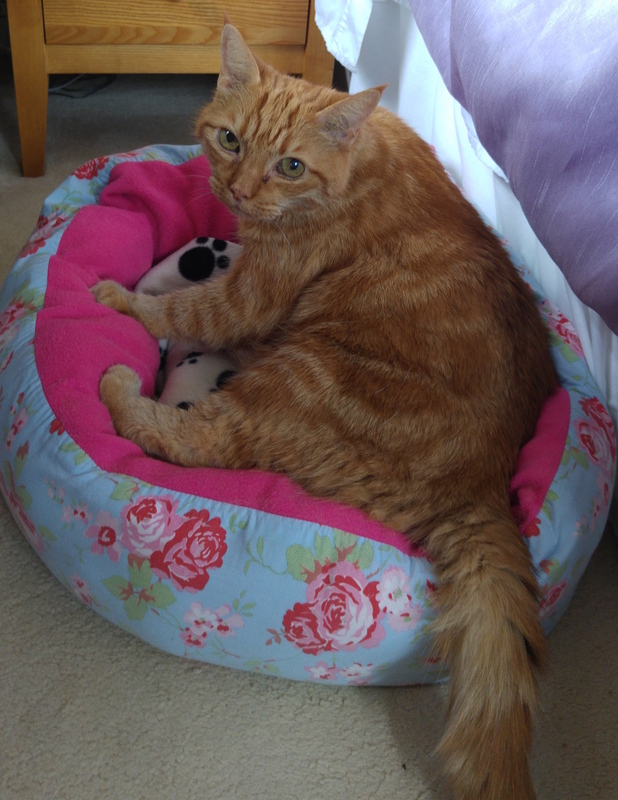 "We would recommend for everyone to think about adopting an older cat. It is so rewarding and they give so much back. "It’s not their fault that they are in care at the age they are, so why not do something amazing to change their life, for however long that will be." If you are interested in homing a cat in their twillight years, please visit the National Cat Adoption Centre. Remember, thanks to a special relationship with Cats Protection, leading insurer PetPlan will cover a cat no matter its age. The first four weeks cover is free and, as long as a new policy is opened before that period expires, the cover will continue into old age.